(AP) - The House voted Thursday to extend the USA Patriot Act, the nation's main anti-terrorism tool, just hours after televisions in the Capitol beamed images of a new attack in London. Forty-three Democrats joined 214 Republicans in voting to renew key provisions of the Patriot Act that were set to expire at the end of the year. The bill includes 10-year extensions to provisions set to expire on Dec. 31, one allowing roving wiretaps. 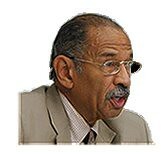 Rep. John Conyers of Michigan, the top Democrat on the committee, said that while "I support the majority of the 166 provisions of the Patriot Act,'' the extensions could lessen accountability. "Ten years is not a sunset; 10 years is semi-permanent." President Bush hailed the vote. "The Patriot Act is a key part of our efforts to combat terrorism and protect the American people,'' Bush said in a statement. The House debate included frequent references to the attacks earlier in the day, two weeks after larger London blasts that killed 56, including four suicide bombers. It was convenient the way the bombings happened just in time to facilitate the renewal of the Patriot Act, without a murmur. That's how easy the mind game is. It is so easy to figure out once you understand how the game is played. If people would understand the symbols and rituals of the game that is played it would be over in no time.